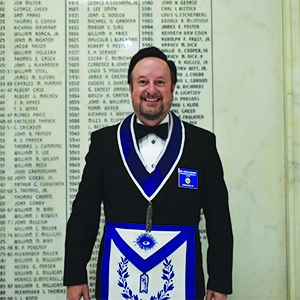 Freemasonry is the oldest fraternal organization in the world. It is dedicated to promoting improvement in the character of its members. A Mason is taught to be a good citizen, to be of good character, and to care for those less fortunate. Freemasonry traces its roots to the Middle Ages. It is from associations of stone masons, who built the magnificent cathedrals, castles, and monasteries of Europe that the fraternity started. These groups, eventually, began to accept members who were not actual working masons. They adopted the term "Accepted" Masons, and Freemasonry was born. Freemasonry is not a religion, nor is it a substitute for religion. It requires of its members a belief in God as part of the obligation of every responsible adult, but advocates no sectarian faith or practice. 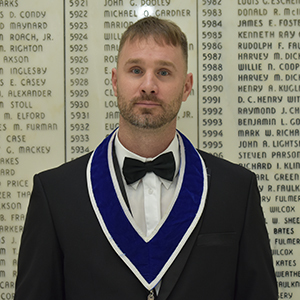 Masonic ceremonies include prayers, both traditional and extempore, to reaffirm each individual's dependence on God and to seek divine guidance. 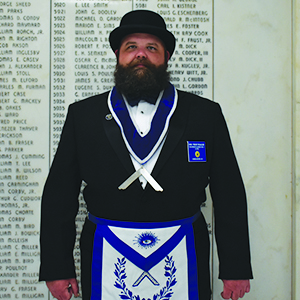 Freemasonry is open to men of any faith, but religion may not be discussed at Masonic meetings. Masons believe that there is one God and that people employ many different ways to seek, and to express what they know of God. Masonry primarily uses the appellation, "Grand Architect of the Universe," and other non-sectarian titles, to address the Deity. In this way, persons of different faiths may join together in prayer, concentrating on God, rather than differences among themselves. Masonry believes in religious freedom and that the relationship between the individual and God is personal, private, and sacred. The obligations taken by Freemasons are sworn on the Volume of the Sacred Law. They are undertakings to follow the principles of Freemasonry and to keep confidential a Freemason's means of recognition. The much discussed "penalties," judicial remnants from an earlier era, are symbolic, not literal. They refer only to the pain any honest man should feel at the thought of violating his word. Freemasonry lacks the basic elements of religion: (a) It has no dogma or theology, no wish or means to enforce religious orthodoxy. (b) It offers no sacraments. (c) It does not claim to lead to salvation by works, by secret knowledge, or by any other means. The secrets of Freemasonry are concerned with modes of recognition, not with the means of salvation. 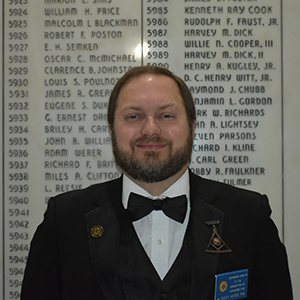 Solomon Lodge #1, South Carolina’s first Lodge, received its warrant from Thomas Thynne, 2nd Viscount Weymouth, the Grand Master of the Grand Lodge in England, in 1735. It was listed as number 45 in “List of Lodges as altered by the Grand Lodge, April 18, 1792”. 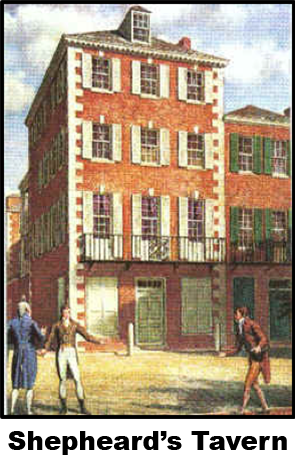 The Lodge was not organized until October 28, 1736 when it first met at Shepheard’s Tavern on the corner of Church and Broad Streets. John Hammerton, Esq. served as Master and was later appointed Provincial Grand Master of Carolina by John Campbell, 4th Earl of Loudoun. 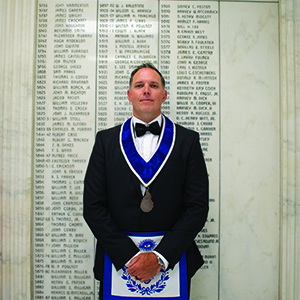 John Campbell was Grand Master of the Premier Grand Lodge of England. He was an officer in the effort to quell the Jacobite Rebellion and later served as Commander in Chief and Governor General of Virginia. 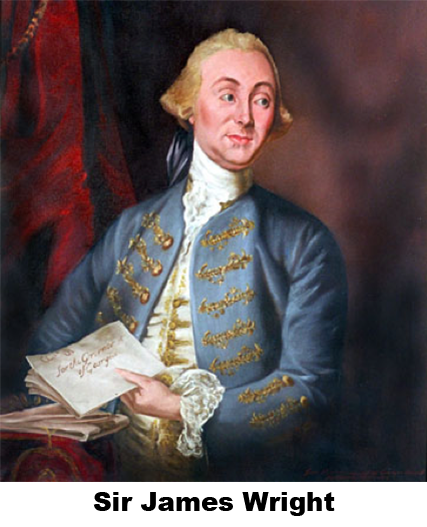 In 1738, the Provincial Grand Lodge of Ancient Freemasons of South Carolina elected Sir James Wright (1716-1785) Provincial Grand Master 1738. He was a lawyer in Charleston, South Carolina, attorney-general of South Carolina, and agent of the colony of South Carolina in England. He became lieutenant-governor of Georgia, then royal governor of Georgia from 1761-1782, except for a period from December 1778-July 1779. Wright left Georgia and returned to England in July of 1782. In 1783, he became head of the board of agents which prosecuted claims of American loyalists for compensation for their property which had been confiscated during the Revolutionary War. 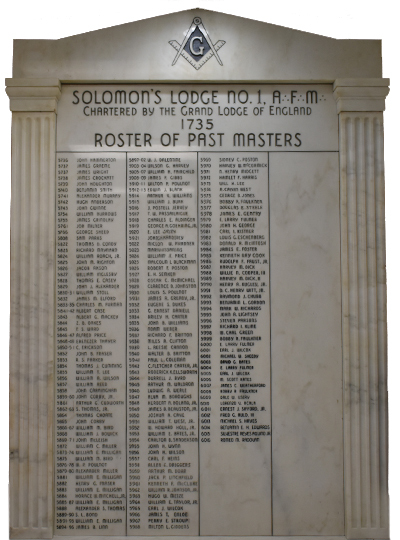 That same year, 1738, Solomon Lodge installed Mr. John Houghton as Master and Dr. John Lining as Senior Warden. The Lodge at Shepheard’s Tavern served as the site of the first meeting of the Supreme Council of the Scottish Rite on May 31st of 1801 and is considered the birthplace of the Scottish Rite worldwide. Dr. Lining was a man of many pursuits. He was born in Lanarkshire Scotland in 1708 where he studied medicine. He arrived in Charles Towne in 1730. He was probably a mason before moving to the area but records show him serving as Senior Warden of Solomon Lodge in 1738. He was a friend of Benjamin Franklin and worked with him on experiments with electricity. His experiments led to the development of lightning rods which were widely adopted for use in the area. He was a pioneer in the measurement and recording of weather. He began his studies in weather in 1737 andcontinued keeping records for 15 years. At the same time, he did extensive measurements on his own metabolism to attempt to find a link in weather cycles and human health. A special area of interest for Dr. Lining was the study of Yellow Fever which regularly wreaked havoc on the area. His studies in this area lead to the quarantine of incoming ships to prevent contagion. 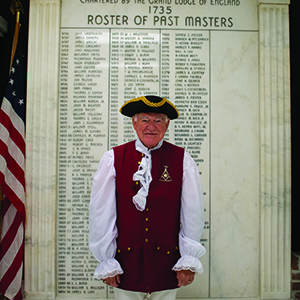 John Lining was a founding member of the St. Andrew’s Society of Charleston. In 1750, he served as president of the Charleston Library Society. His apothecary is on display at the Charleston Museum. His house is still standing and is located on Broad Street at King Street. William Burrows was born and educated in London. Shortly after graduating in 1743 he moved to South Carolina and practiced law in Berkley county. 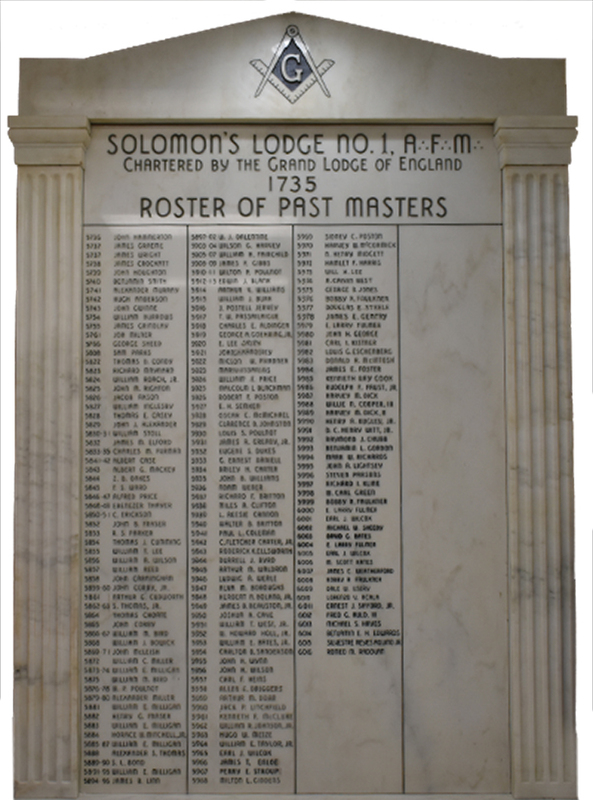 He served as Worshipful Master of Solomon #1 in 1754. He built a wonderful home in Charleston at 71 Broad St. which is no longer standing. The house later served as one of Charleston’s leading hotels during the 1800’s. He was one of the “Seventeen Gentlemen” who along with John Lining, founded the Charleston Library Society. 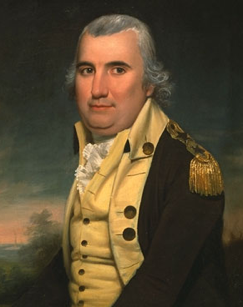 His son, William Ward Burrows, served in the Revolutionary War in South Carolina. Later he helped create the United States Marine Corp. and was appointed the Corp’s first Major Commandant by President John Adams. 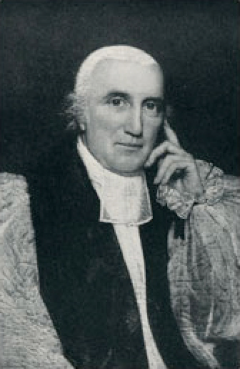 Robert Smith became rector of St. Philips Church, Charleston at the age of 25. He was the first American Episcopal Bishop of South Carolina in 1829, the sixth bishop of American Episcopal succession. In 1762, he founded the Society for the Relief of the Widows and Children of the clergy of the Church of England and province of South Carolina. He was a founder and served as first president of the College of Charleston from 1790 to 1797. His house, the Rev. Robert Smith House is today used as the official residence for the president of the college. He died in 1801. His grave is located in the St. Philips Graveyard. Born in Charleston in 1746, he accompanied his father to London where he received his education. When returned to Charleston in 1769 he took up law practice. He was elected to the provincial assembly and acted as attorney general for several small towns in the colony. In 1775, he became involved with the patriot cause and sat in the provincial congress. Then in 1776, he was made chairman of a committee that drew up a plan for the interim government of South Carolina. During the Revolutionary war, he served as Captain of the Grenadiers of the 1st South Carolina Regiment. He successfully defended Charleston in the Battle of Sullivan’s Island and was later promoted to Colonel. He led his brigade in the ill-fated Siege of Savannah and in the next year fought in the 1780 defense of Charleston where he was taken prisoner by the British. After his release in 1782 he was made Brigadier General in the Continental Forces and later Major General in the South Carolina Militia. With war over Pinckney became deeply involved with the drawing up of the Constitution and attended every session of the Constitutional Convention. He was a Federalist and favored a strong central government. He also proposed that senators should serve with no pay. He served as Minister of France in 1796. Upon returning he was nominated by the Federalist Party for Vice President in 1800 and as President in 1804 and 1808, losing all three elections. Isaac Auld was born in Pennsylvania in 1770. 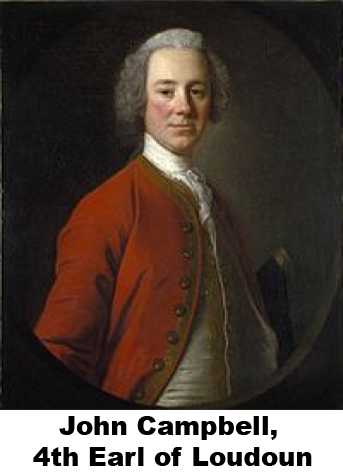 His parents, who had supported Prince Charles Stuart in the 1745 Rebellion, had fled Scotland to France and later moved to the colonies around 1779. His father served in the Revolutionary War in the Sixth Pennsylvania Regiment. Isaac inherited land in Pennsylvania and Edisto Island near Charleston. On Edisto Island, he experimented in cultivating many crops including an improved form of cotton. He continued his study of botany throughout the remainder of his life. He was a member of Charleston society when he met the lady who would become his wife, Miss Frances Miot at the Dock Street Theatre in 1798. Isaac Auld was also a prominent doctor in the area who shared a practice with his friend Frederick Dalcho. 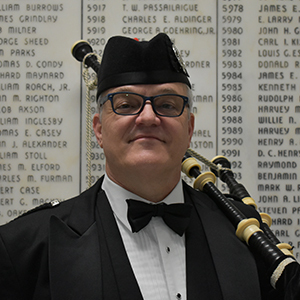 They were two of the “Eleven Gentlemen of Charleston” that founded Scottish Rite in 1801. Dr. Auld was Grand Secretary of the Sublime Grand Lodge of Perfection in 1801. He was elected a member of the Supreme Council and served as Senior Warden of the Lodge of Perfection, Junior Warden of Rose Croix, and the Physician General in the Consistory in 1802. He died at his home in Edisto in 1826 at the age of 56. 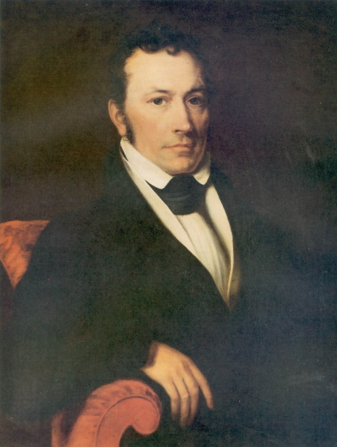 Joel Roberts Poinsett was born in Charleston, South Carolina in 1799. He was an American physician and diplomat. He served as the first U.S. agent to South America, a member of the South Carolina legislature, and the U.S. House of Representatives. He was the first United States Minister to Mexico, a Unionist leader in South Carolina during the Nullification Crisis, Secretary of War under Martin Van Buren, and a co-founder of the National Institute for the Promotion of Science and the Useful Arts (a predecessor of the Smithsonian Institution). He was well known as being extremely well read and was educated in a number of subjects. He travelled extensively and enjoyed a very adventurous life. He was a member of Solomon’s Lodge and perhaps best known for introducing the flower that bears his name (the Poinsettia) to this country. He first studied medicine in Edinburgh, Scotland following his father’s bidding. Deciding that his interests lay elsewhere, he quit medicine to study at the Royal Military Academy. He also studied law for a short time before ending his formal education. He traveled extensively spending three years in Russia where he was a guest of the court of Czar Alexander and offered a position in that country’s military. Poinsett then returned to the United States in 1809 at the age of 30. He was appointed as the first American diplomat to Argentina and Chile by James Madison. During his time in Chile he helped to free US whaling ships and their crews from Peruvian privateers that had taken them hostage. 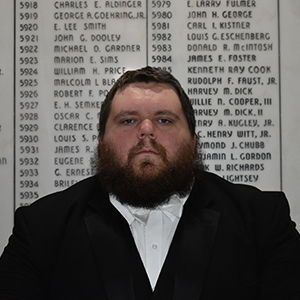 When he returned to the U.S. he served as Deputy Grand Master of the Grand Lodge of South Carolina in 1821 and High Priest of the Grand Chapter of South Carolina. That same year he was also elected to the U.S. House of Representatives where he was a member of the Foreign Affairs Committee. In 1825 Poinsett resigned from Congress to accept appointment as the first U.S. Ambassador to Mexico. After serving during a rather tumultuous period of Mexico’s history, he returned to the United States, bringing with him the flower that now bears his name. Back in the United States he served as Andrew Jackson’s confidential agent and Secretary of War under President Van Buren. He died of tuberculosis in 1851 and is buried at the Church of the Holy Cross Episcopal Cemetery in Stateburg, South Carolina. Albert Mackey was born in Charleston in 1807. He was a physician, journalist and educator. He attended College of South Carolina (later to become gaged in philanthropic activities. He was a charter member of the board of trustees of South Carolina College (later the University of South Carolina) in 1832, graduated from the medical department and was appointed in 1838 as demonstrator of anatomy. 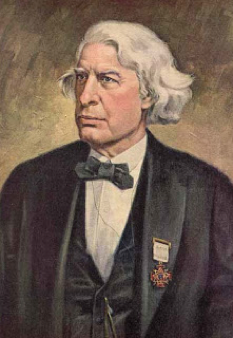 In 1844, he devoted himself to writing on a variety of subjects including languages, the Middle Ages, and Freemasonry. This led to his investigation of abstruse symbolism, Cabalistic, and Talmudic research. 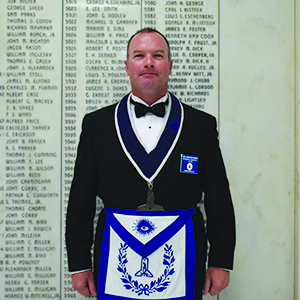 Albert Mackey was raised to Master Mason in St. Andrews Lodge in 1841. 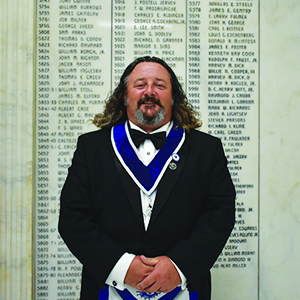 Shortly thereafter he affiliated with Solomon Lodge where he served as Worshipful Master in 1843. 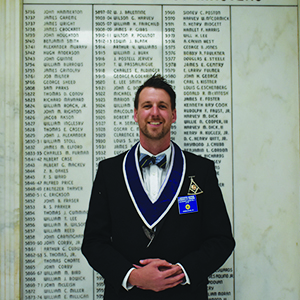 He served as Grand Lecture and Grand Secretary of the Grand Lodge of South Carolina. 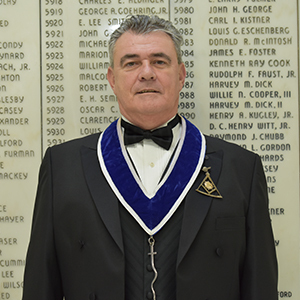 He also served as Secretary General of the Supreme Council of the Ancient and Accepted Scottish Rite for the Southern Jurisdiction of the United States. He ran for United States Senate in South Carolina in 1868 but was defeated. He moved to Washington, D.C. in 1870 and died in Virginia the following year. I would like to express my extreme gratitude for the work of Illustrious Brother McDonald “Don” Burbidge. Mackie, Albert. 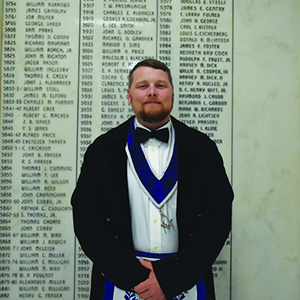 History of Freemasonry in South Carolina. Columbia, South Carolina: South Carolinian Steam Power Press, 1861. Marriott Hotel located at 299 N. Church Street, Spartanburg, SC 29606.